Navigate, take control, and enjoy an unprecedented level of built-in functionality with NSS evo3. 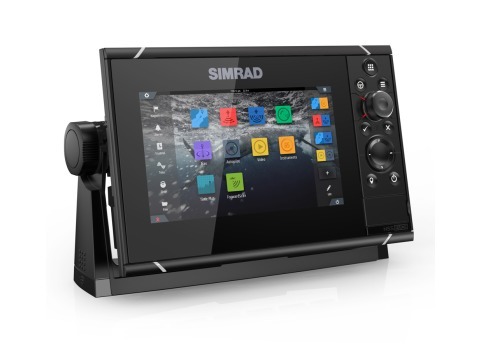 SolarMAX HD display technology offers exceptional clarity and ultra-wide viewing angles, combined with an all-weather touchscreen and expanded keypad for total control in all conditions. Cruise confidently with ForwardScan sonar, or fish easier with StructureScan® HD imaging and dual-channel CHIRP-enabled Broadband Sounder technology. Built-in Wi-Fi enables access to GoFree® online services, and delivers smartphone monitoring and tablet control to extend your display’s reach well beyond the helm. The NSS7 evo3 features a 7-inch display perfect for centre consoles and other installations where space is at a premium. SolarMAX HD display technology revolutionises the way you see your on-board electronics, with high-definition visuals and clear visibility no matter what the conditions. See clearly from any position, sitting or standing, with extra-wide viewing angles. Bright LED backlighting and an anti-reflective coating offer enhanced daytime visibility; SolarMAX HD displays are engineered to reliably endure the heat of the summer sun, perfect for outside installations. These all-weather screens are optically bonded to prevent condensation, and will never fog. Any time, any conditions, SolarMAX HD gives you the ultimate view. 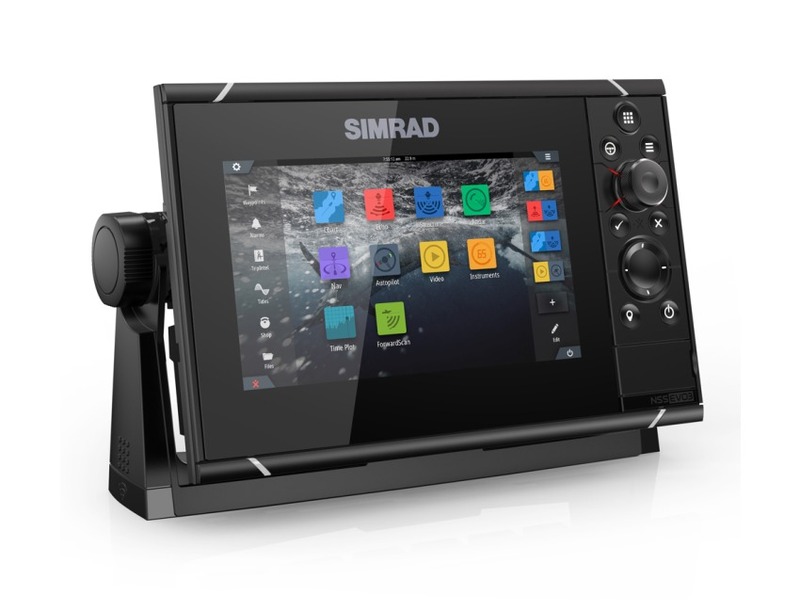 A built-in echosounder module equips every NSS evo3 display with a wealth of Simrad sonar technologies to suit many sportfishing and cruising applications. StructureScan® HD imaging combines DownScan and SideScan sonar to provide a picture-like views of fish holding structure, while award-winning ForwardScan® sonar offers a safer cruising experience with a clear view of the bottom ahead. Broadband Sounder technology provides CHIRP-enabled fish-finding sonar, including support for the all-in-one TotalScan transducer or dual-channel CHIRP transducers. Dual-channel transducers provide coverage of multiple depth ranges and cone angles in a single unit, perfect for targeting specific parts of the water column in sportfishing applications. Dual transducer ports allow simultaneous use of either StructureScan® HD or ForwardScan® and CHIRP or traditional sonar.